Vitola Perla cigars from James J.  Fox are a collection of cigars that’s well-known for their small gauge and lengths. Perla cigars are associated with a light to medium strength accompanied by a relatively short smoking time, which makes for the perfect choice of cigar to use every day. As the Perla collection possesses strengths of no more than 3 out of 5, they are the ideal pick for the novice cigar smoker, or for those who may be interested in starting out. Benefit from a wide range of Perla cigars from James J. Fox. Each cigar within this collection is expertly made and tailored towards the novice smoker, or for those who enjoy a light, smooth and medium-bodied taste. For an incredibly light-strength and impeccably constructed cigar, choose the Davidoff Grand Cru No. 5. This Dominican cigar has a smoking time of twenty to thirty minutes, with a ring gauge of 40 and length of 4 inches. Noted for its earthiness compared to its counterparts, as well as cooling cedar notes and a gentle sweet finish, this cigar can be enjoyed during any and all occasions. Towards the higher end of the Perla collection with regards to strength, you may be interested in purchasing the Blend 17 Tres Petit Corona. This Nicaraguan cigar has a ring gauge of 42 with a 4-inch length, and is a completely new cigar, exclusively made for James J. Fox and its customers. Containing a unique blend of Nicaraguan tobaccos, this cigar promises to deliver an intricate medium-bodied flavour, consisting of a rich and creamy taste. With a smoking time of twenty to thirty minutes, you can enjoy this cigar as part of any occasion. If you’re in London, take the chance to drop into our tobacco departments in Selfridges and Harrods, or visit us at our flagship store here in St. James Street. We look forward to hearing from you.